A collection of 1970s newspaper articles regarding Māori is available to view in the Sir George Grey Special Collections reading room or to search online at Index Auckland. The scrapbooks contain many useful items for whakapapa or historical research, from obituaries to articles promoting the introduction of Māori language teaching in schools. Copies are also available in the Central Research Centre. 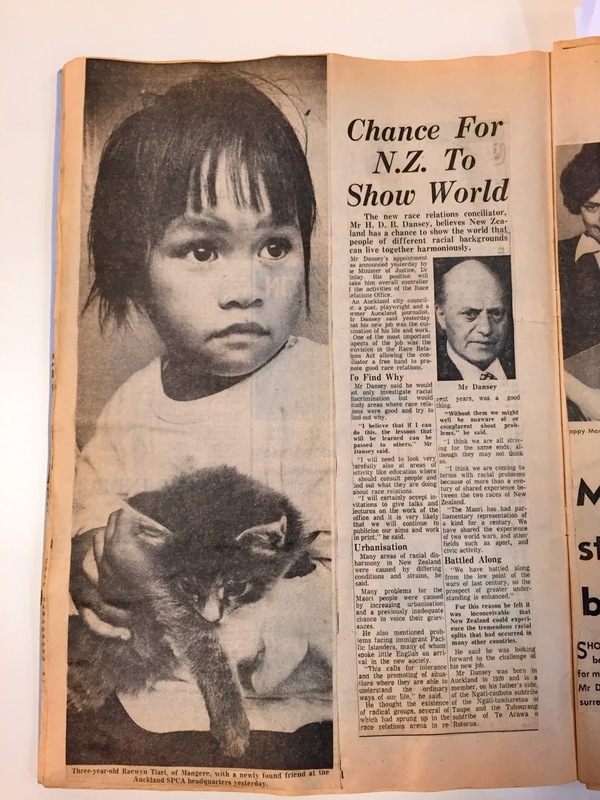 Even though the clippings are not precisely dated, nor source newspapers always identified, reading through the Scrapbooks reveals areas of concern and celebration for Māori at that time. 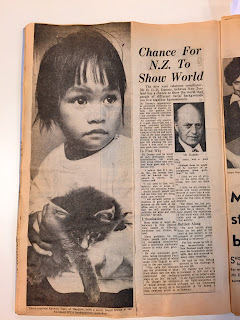 Ref: Photograph of three year old Raewyn Tiari, [Scrapbooks of newspaper clippings about Maori] volume 2, page 17, 1972-1975, Sir George Grey Special Collections, Auckland Libraries, 995.3 S43. Many stories address the impact of Māori migration from rural to urban areas, and the growing pressure to entrench Māori language in the education system. Mrs Hana Jackson, for example, presented a petition to the government calling for the teaching of Māori in schools: it was signed by 30,000 people. The country’s first television show in the Māori language (with English subtitles) was also broadcast - “Taku Toa” delivered a selection of songs and haka filmed at the Hunua Falls. 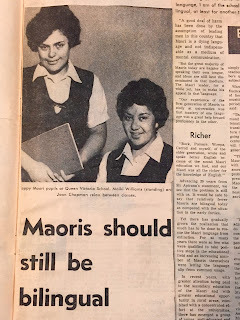 Ref: Photograph of Maiki Williams and Joan Chapman, [Scrapbooks of newspaper clippings about Maori] volume 2, page 18, 1972-1975, Sir George Grey Special Collections, Auckland Libraries, 995.3 S43. Minister of Māori Affairs, Matiu Rata, proposed a change of definition of Māori to include anyone with Māori blood no matter what proportion (the Māori Affairs Act 1953 had defined Māori as being a person who was half-Māori or more). Another perspective on this issue was given by Tom Waiwai of Wellington who registered his baby granddaughter Deirdre Hemingway as a “half-caste European,” the first person to be officially described this way. Māori carving is discussed in several contexts, including a feature about Ngāti Whātua relics surfacing from bogs and swamps after being buried for safe-keeping around 300 years earlier. There are photographs, too, of Eramiha Neke Kapua’s carvings for a hall in Panguru that were gifted to Auckland War Memorial Museum. Ref: Photograph of Rudall Hayward, Ramai Hayward and Val Irwin, [Scrapbooks of newspaper clippings about Maori] volume 2, page 12, 1970, Sir George Grey Special Collections, Auckland Libraries, 995.3 S43. 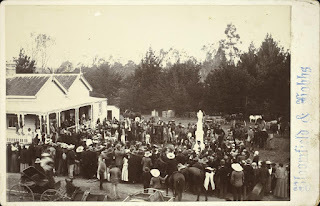 Many photographs are included such as that of 102 year old Mrs M. Morgan leading a fundraising walk for a meeting house on the Hei marae at Manoeka near Te Puke, and Hato Petera School pupil Kaperi Leef winning a speech competition. 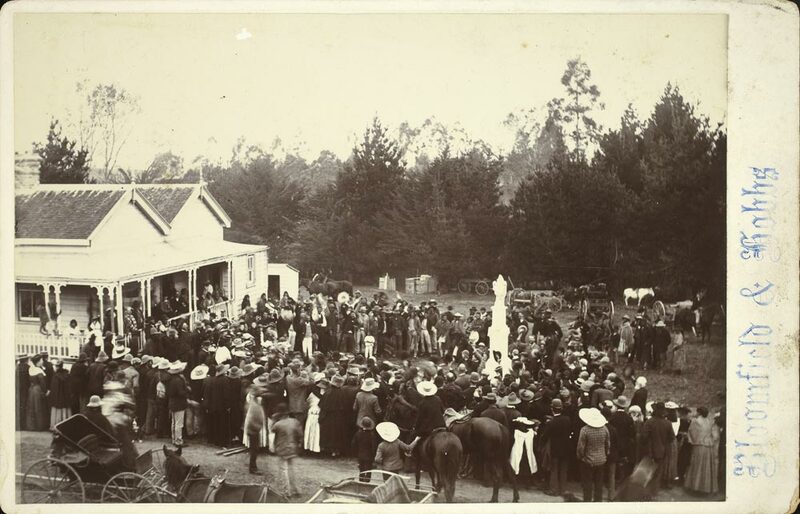 Feature articles by NZ Herald staff correspondent Elsdon Craig focus on: the centenary of a Te Kuiti meeting house built in 1873 at Te Kooti’s direction – Te Tokanga-nui-a-noho; an investigation into the disparity between crime rates of Māori and Pākehā populations; and the development of Māori chief and warrior Rewi Manga Maniapoto’s former home and resting place at Kihikihi, where a memorial donated by Sir George Grey stands. Ref: Bloomfield and Hobbs, Monument to Rewi Maniapoto, April 1894, Sir George Grey Special Collections, Auckland Libraries, 661-63. The scrapbooks include obituaries for Wiremu Te Ranga Poutapu, master carver and canoe builder for the Waikato, Mrs Ngakahikatea Wirihana (Granny Nga) of Huntly who died aged around 125 and Rangitiaria Dennan (Guide Rangi) among others. 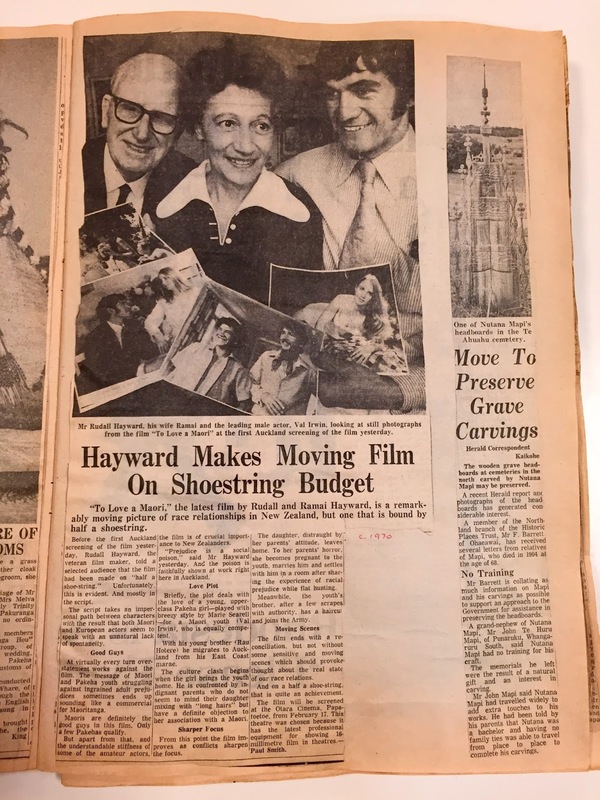 The Scrapbooks were created by Auckland resident Mrs P. Malouf and were donated to Auckland Libraries in 1981. It's not a census! It's the 1939 Register!